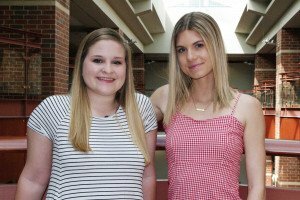 Lindenwood students Andrea “Andy” Nicholson and Alexis “Lexi” McCarthy are taking part this summer in the AAF-Ad Club St. Louis Internship Hop program, two of only five students selected for the paid program. During the program, the students spend one week each at eight agencies in the St. Louis area. The Lindenwood University online MBA program has been ranked in the list of the 50 Best MBA Programs Online for 2018 by BestCollegeReviews.com. 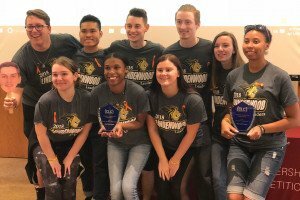 The Lindenwood University Collegiate Leadership competition team recently captured first place in regional competition and second internationally in the Collegiate Leadership Competition in Ohio. BestColleges.com has ranked several programs at Lindenwood University as some of the best programs in the country in their respective areas: the online Bachelor of Arts in game design, online Bachelor of Arts in art history, online Bachelor of Arts in supply chain management, online Master of Fine Arts in creative writing, online Master of Arts in leadership, online Master of Arts in leadership, and online Master of Arts in public administration. 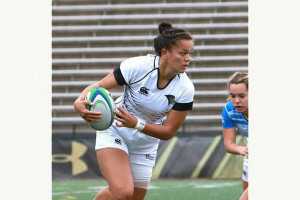 Women’s rugby player Nika Paogofie-Buyten was featured in the Hawaii Tribune Herald in her home state in connection with the women’s rugby victory in three national championship contests over the past year. Two Lindenwood theatre students, Camden Scifres and Zoe Gudehus, are featured in an article in the Herald-Whig in Quincy, Ill., for their work at the Lewis Street Playhouse in Canton, Mo., at which they have taken on revitalizing a dormant community theatre company. 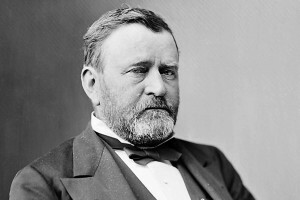 Lindenwood University’s DECA team received coverage in the Suburban Journals and other publications for its performance in the recent international competition in Washington, D.C.
Lindenwood University’s Department of Anthropology and Archaeological Research Program is conducting an archaeological survey of select areas of the Ulysses S. Grant National Historic Site June 4 through 14. The survey will be conducted by students and faculty as part of Lindenwood’s 2018 Archaeological Field School. 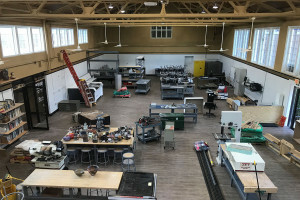 The program received a permit from the National Park Service’s Midwest Archeological Center to conduct the survey. 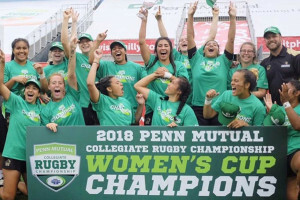 The Lindenwood University Men’s and Women’s rugby teams came home champions from the Penn Mutual Collegiate Rugby Sevens Championships on June 3. The men defeated UCLA and the women defeated Penn State in their respective championship games.